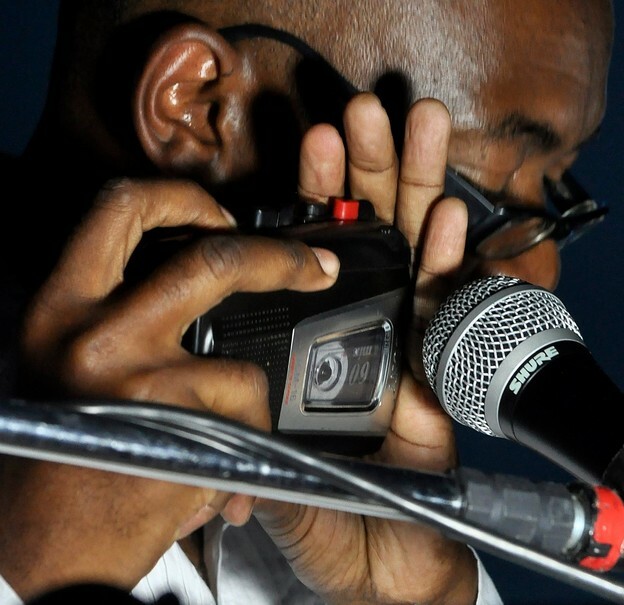 In December, I spent a vibrant night at the Cooperifa spoken word salon on the South Side periphery of São Paulo. The open-mic sessions take place every Wednesday at the bar of Zé Batidão, a neighborhood gathering spot in Jardim Guarujá, where up to 300 people of all ages converge weekly to listen to and perform poems. Over the last eleven years, Cooperifa (the name is a compound of cooperativa and periferia) has become well-known in São Paulo and throughout Brazil for uniting and strengthening, through poetry, a community that is marginalized in both social and geographic senses. Sérgio Vaz, a poet and founder of Cooperifa, is widely recognized as a community leader; in 2009, Época magazine named him one of the hundred most influential people in Brazil. Indeed, Cooperifa spoken word is something of a popular movement that has spread beyond São Paulo.